Xiaomi’s smartphones sell like hot cakes and one of the main reasons for this is the pricing. The phones come loaded with great specifications at an unbelievable pricing and that’s the reason why the company has made several records in the online sales. 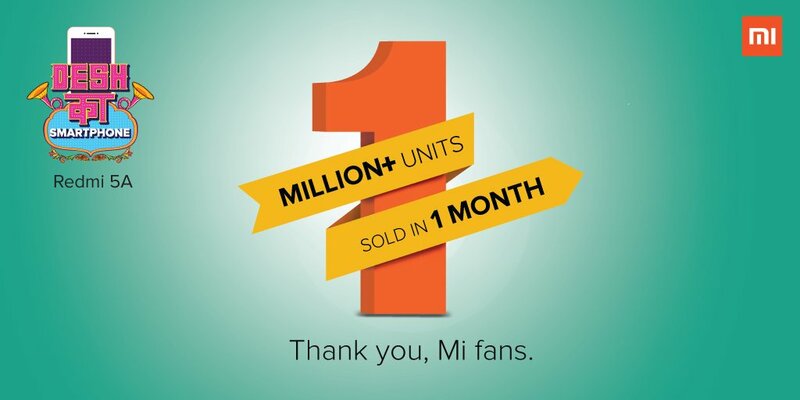 Last year, the company made a world record by selling over 2.11 Million smartphones in mere 24 hours in the Mi Fan Festival. 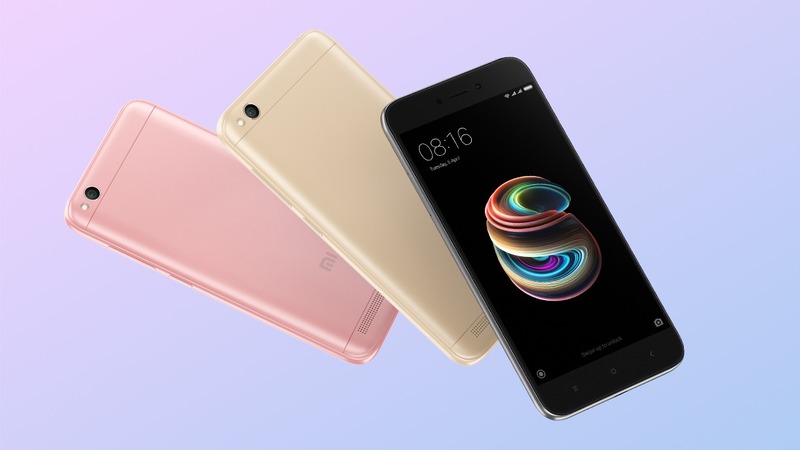 In India, Xiaomi is the #1 smartphone company and the latest offering from the company in the budget price segment is the ultra-affordable Redmi 5A that comes with great specs for a price tag of Rs.4,999. The Global VP of Xiaomi and the Managing Director of Xiaomi India, Manu Kumar Jain, has revealed via his Twitter account that the company sold more than 1 Million Redmi 5A units in less than a month in India which is incredible. It is worth mentioning that Xiaomi has offered Rs 1,000 off on the first 5 Million units of the phone and looking at the speed of sales, it looks like the company will soon achieve the 5 Million mark in the sales. The very first sale of the phone happened in December 2017 where the phone lasted only a few minutes in the stock. Talking about the specifications of the phone, it packs a 5-inch HD display and is powered by a Snapdragon 425 processor with 2/3GB RAM and 16/32GB internal storage. The 2GB variant is priced at Rs 4,999 ( for first 5M units) and the 3GB RAM variant at Rs 6,999.